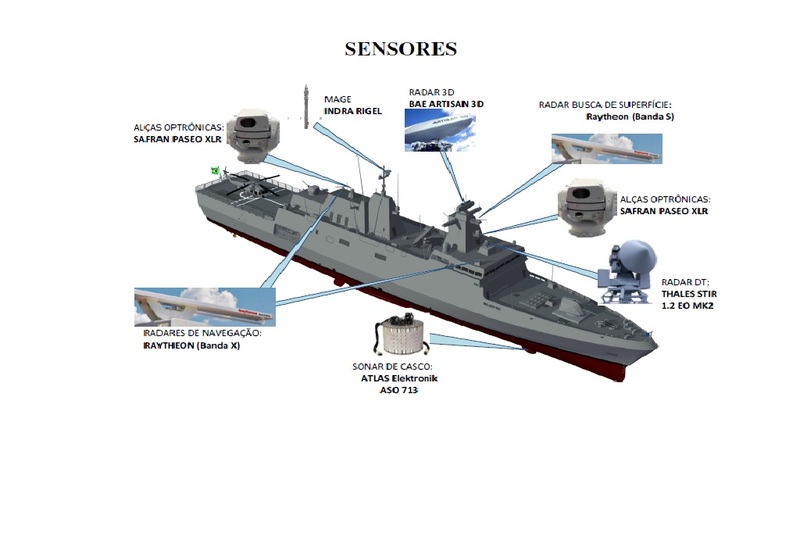 29 March 2019 – The Águas Azuis Consortium, formed by Thyssenkrupp Marine Systems, Embraer Defense & Security and Atech, was selected by the Brazilian Navy (MB) as preferred bidder for the construction of the four defence ships part of the Tamandaré Corvettes Class Program (CCT). 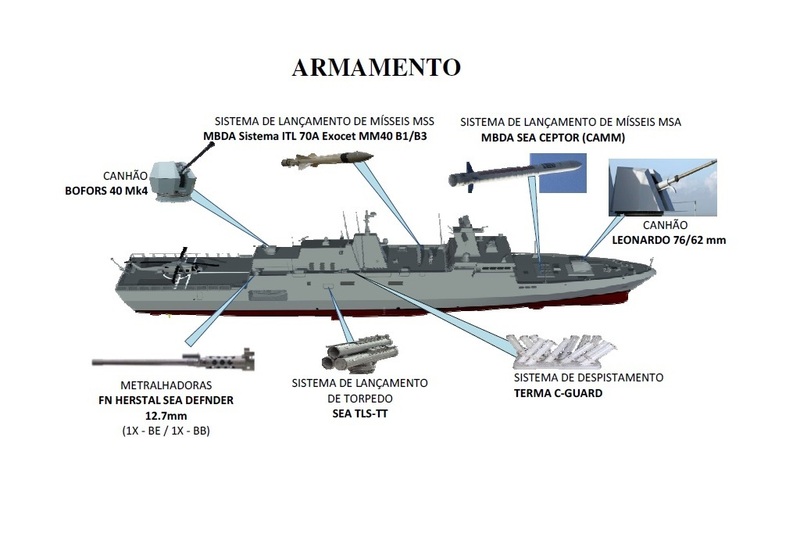 According to a press release dated 28 March, the Brazilian Navy, continuing in the ‘Strategic Programme of constructing the core the Naval Power’, informs that the final proposal of the “Águas Azuis” Consortium, dated March 8, 2019, was selected as the Best Offer for the shipbuilding project of the Tamandaré-class corvettes. The selected Consortium reached in the selection phase the Local Content Indexes of 31.6% for the 1st ship and an average of 41% for the other ships in the series, being formed by the companies Atech Negócios em Tecnologias SA, Embraer SA and Thyssenkrupp Marine Systems GmbH (TKMS). The following companies will be subcontracted: Atlas Elektronik, Alliance S.A. Shipyard and L3 Mapps. The selected proposal presents a project of an Intellectual Property Ship (NAPIP) of the German company TKMS, based on the ships of Class “Meko A100”. 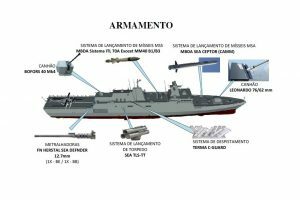 According to the information provided by the Brazilian Navy’s press release, the new ships will have a 3,455 tons displacement, a length of 107.2 meters, a maximum beam of 15.95 meters and a draught of 5.2 meters. The propulsion system will be based on four MAN 12V 28/33 DSTC able to assure an economical speed of 14 knots, while the electrical power complex is based on four Caterpillar C32 diesel generators. 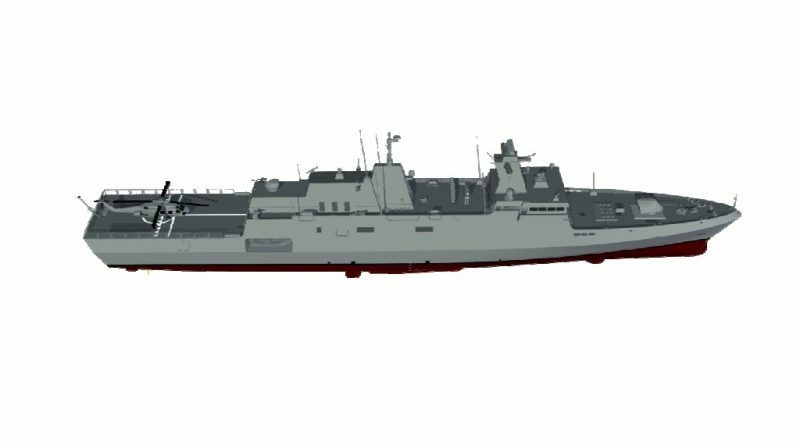 Based on the images of the new ship released with the press release, the ship armament package will be based on a Leonardo 72/62 mm Super Rapido (even if in the drawing, it is depicted a Bofors 57 mm gun), an MBDA Sea Ceptor air defence missile system with 12 vertical launchers, MBDA anti-ship Exocet MM40 Block 1 and 3 missiles (two-double launchers are depicted), a 40 mm Bofors 40 Mk 4 and two remotely controlled 12.7mm FN Herstal Sea Defender, sided by two TLS-TT triple light torpedo launchers and two Terma multiple decoys launchers. 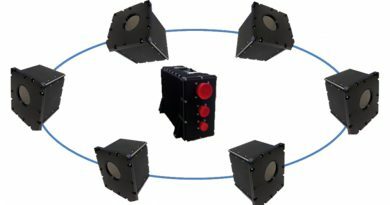 The depicted sensors package includes a BAE Systems 3D Artisan radar, Raytheon surface search and navigation radars, a Thales Nederland STIR 1.2 EO Mk2 gun fire control system, two EO/IR Safran Paseo XLR suites, in addition to an Indra Rigel EW package and hull-mounted Atlas Elektronik ASO 173 sonar. Emgepron will initiate the actions for the signing of the contracts with the future SPE “Águas Azuis”, as Contractor of the Procurement Project, for the construction of the Tamandaré Class Corvettes. The Main Contract and the other Associated Contracts (Transfer of Technology, Integrated Logistic Support and Compensation), to obtain up to 4 vessels, will be preferably signed by the end of this year, in accordance with the conditions established in the RFP in the 40005 / 2017-00. 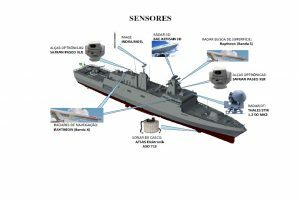 In addition, the structuring of ship life cycle management, including the Service Support contract (after-sales maintenance), will be negotiated for the first time by Brazilian Navy. This initiative, depending on the success achieved, will contribute to a greater operational availability of the future ships during the entire cycle of activities, in addition to contributing to a greater business continuity for the Industrial Defense Base. The forecast of the definitive delivery of the ships to MB is planned for the period between 2024 and 2028, with the possibility of generating about 2000 direct jobs and 6000 indirect jobs. According to Brazilian Navy, the selection process had technical support in specific areas of the Getúlio Vargas Foundation (FGV) and the National Bank for Economic and Social Development (BNDES). Its development took 15 months from the disclosure of the RFP in 40005 / 2017-001, on December 19, 2017. During this period the Phases of Questioning were executed; Analysis and Refinement of Proposals; and Negotiation, involving the issue of 386 (three hundred and eighty-six) Circulars between the project management and the proponents. The selection process adopted by the Brazilian was based on two basic decision-making tools: Multicriteria Decision Analysis (AMD) and Risk Analysis. AMD was composed of 215 criteria. These criteria were established in a matrix form, with the participation of specialists from the Technical Offices and the Budgetary / Financial Sector of MB, covering the following areas of analysis: Platform; Combat Systems; Communications & IT; Aircraft; Commercial Proposal and Taxes; Technical Capacity of National Shipyards; Life cycle; and Transfer of Technology, Compensation and Local Content. The first level of AMD was composed of 4 macro criteria: ship performances, ship life cycle, business model and national industries participation. The second instrument of the same degree of importance for selecting the Best Offer was based on a permanent Risk Analysis in the various phases of the process, in the light of the guidelines issued in Decree 9203/2017 and other related instruments and guidelines. These documents define the good practices of public governance, principles and guidelines, with the purpose of providing greater technical and legal security to the decision-making process. For the purpose of surveying the events (risks, problems, opportunities or benefits), similar to AMD structuring, the proposals were analyzed based on the same central areas of interest for the selection process, as previously described. 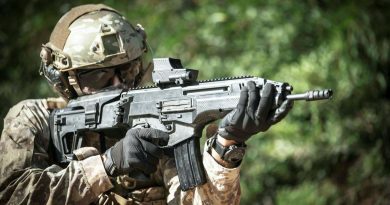 In addition, the events related to the legal / fiscal and economic / financial capacities of the Consortium shareholders’ companies, the companies identified as beneficiaries for the technology transfers of the Combat Management Systems and the Platform (ToT of the CMS and IPMS), as well as the national shipyards involved have been considered.